In the absence of Account based Marketing (ABM), marketers would track the journey of a prospect using the traditional B2B marketing and sales funnel, then guiding them through the sales process until they make the final purchase. This journey is seen as a pipeline or a funnel with a few predictable stages that a prospect goes through from start to end. The first stage is awareness as the prospect hears about the company’s product and service through emails, social media posts, advertising. Then the marketing team determines the viability of the prospect by analyzing their title, company information and other decision making elements. Accordingly, the lead is forwarded to the sales team. Unlike B2C purchases, in a B2B purchase, a single person doesn’t make the big decision to close a deal. The prospect would have to convince their internal stakeholders about your product/service before a decision is made. After the marketing team has checked the lead for their viability, they must work in alignment with the prospect to provide content that can help them overcome objections of the decision makers in their company. Then in the final stage, the decision is made by the prospect’s company about whether the purchase will be made or abandoned. When working according to this traditional B2B marketing funnel, all your sales and marketing efforts are focused on individual leads, who may or may not be decision makers and which have a high possibility of becoming futile. You will be completely depending on the persuasion powers of a single lead for the deal to be closed between your companies and a purchase to be made. Getting your message in front of all the right decision makers is much more crucial than just identifying the right companies and contacts to approach. To address both the flaws in the funnel system; the non-linear progression of the prospect’s journey and marketing to a single lead, companies need to adopt Account-Based Marketing (ABM). The personalized approach and attention to detail that Account-Based Marketing entails translates to a satisfied customer who benefits from messages that are tailored just for them. According to a research conducted by SiriusDecisions in 2016, 70% of B2B marketer’s budget went to Account-based marketing, and is expected to keep growing. Poor leads that are pointless and frustrate the sales team need to be eliminated and Account-Based Marketing lets marketing teams do so. It helps make the process of customer acquisition, making marketing teams stronger as well. Apart from the above benefits, Account-Based Marketing delivers great ROI too. With all of Valasys’ Account-Based Marketing services at your disposal, you can be assured of lesser waste and lesser risk. Marketing budgets will be spent specifically on the accounts with the most revenue potential. Plus, it is easy to keep marketing and sales on the same page as the sales alignment is crystal clear. 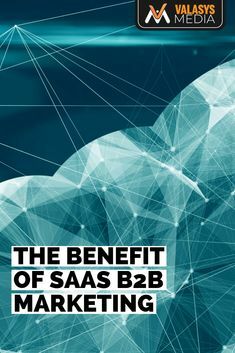 By integrating the best principles of inbound marketing with account-based marketing, Valasys is able to drive growth with the target accounts for B2B organizations. To convert leads into opportunities, we build programs that attract, acquire, qualify, and nurture. We at Valasys specialize in a B2B lead generation, inbound marketing, and Account-Based Marketing; building programs for the sole purpose of attracting, acquiring, qualifying and nurturing leads into opportunities. We can drive revenue for your company by delivering an Account-Based Marketing program formulated by our ABM strategists, technology experts, and content creators.